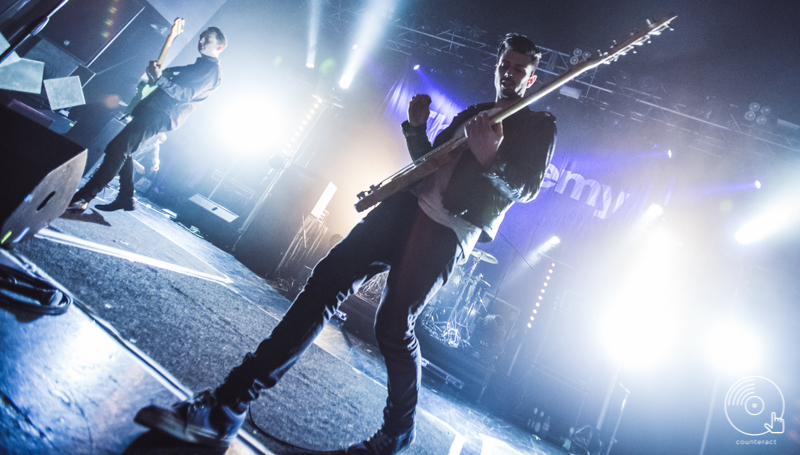 On Wednesday November 18th, The Enemy hit Birmingham for their highly anticipated gig at Birmingham’s O2 Institute as part of their 2015 UK Tour. 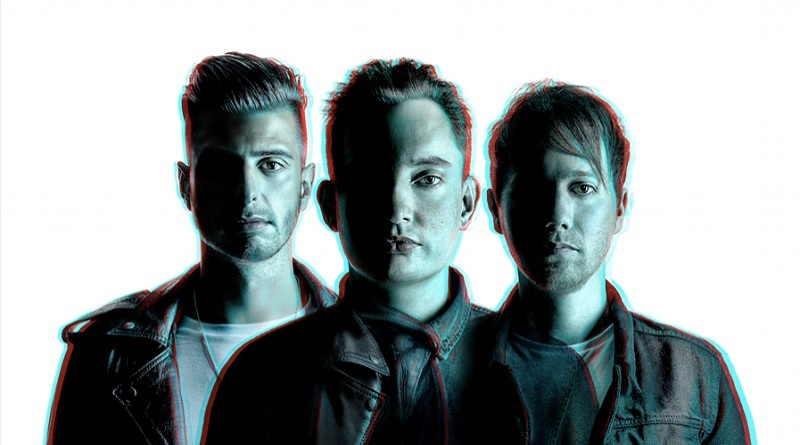 Keen to find out more about their recently released fourth album It’s Automatic and their experiences in Birmingham to date, we were lucky enough to catch up with them on board their tour bus prior to the show. On vocal rest due to the strain caused by the demand of their tour dates, we left frontman Tom Clarke to rest. Bassist/vocalist Andy and drummer Liam gave us the lowdown. 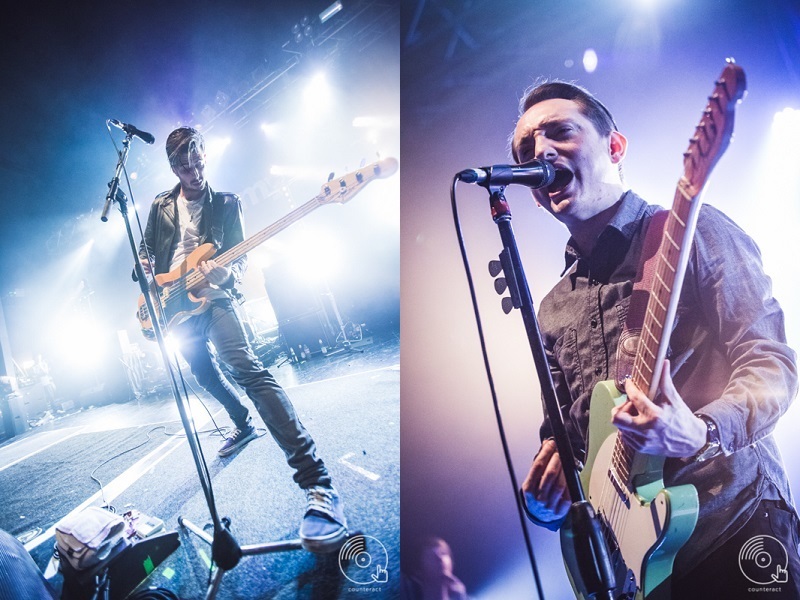 During anticipation of The Enemy’s fourth album release, the trio treated fans to a free download of ‘Don’t Let Nothing Get in the Way’ followed by the release of album title track ‘Its Automatic’ with an artistic video. The single was a huge hit with fans instantly recognising the increase in amplitude of their new material. “‘It’s Automatic’ was my favourite song, that’s why it went out as a single, because I pushed for it” explained Liam. A natural musical progression from The Enemy, the 11 strong track list features a more polished, contemporary sound with ebbs and flows in the lyrical emotion. “Instead of going doing the raw road, we wanted to add synths and sub bass to make it sound bigger” explained Andy. Being almost a decade since the formation of The Enemy, the Coventry trio are keen to continue moving forward, with their gigs now “becoming shows” as a result of their reinvented identity, their legacy will begin to carry new favourites which will take on an anthemic feel in a matter of time:”‘Everybody Needs Someone’ is going down really well live, I love ‘Superhero’ that’s going down well live too.” Andy described. It’s Automatic has seen the involvement of a variety of writers as well as a desire to focus heavily on production, resulting in a change of procedure for the band “We usually go into a practice room and smash out a few chords and that’s kind of it. We would then put the lyrics and the vocal melody over the top.” Andy said. “We realised, the things we wanted to do, we couldn’t just go in a rehearsal room and do it. We didn’t want to fall back into old habits either.” Liam added. With tonight being their fifth gig of the tour with all dates being in close succession, it would be easy to feel that it’s all work and no play for the tireless trio. However, despite their down-time being limited and their lives in motion with constant travelling they seem more than comfortable with life on the road. “It’s great because you wake up, you don’t have to jump in the car or worry about travelling. You can get up when you want and go and sound check” Andy said as he sat reclined on the plush tour bus sofa. Having set up camp amid all the mod cons, lead singer Tom is left to his own devices; “Tom’s not on the bus, he hates it on here because he always gets sick” Liam commented. “But Tom loves driving, he puts pressure on himself really without realising it. He hates it on here, he says its like getting out of a coffin. Because I live on my own, I get bored, so I love this. I try and keep everyone awake, that’s my job [laughs].” Andy reveals a mischievous edge. It’s not been all fun and games though, with The Enemy being subject of critical judgements, part way through their career; typical of the ever competitive music industry. Their decision to take a different path with their latest releases was also a leap of faith bravely taken with the knowledge that fans of their past sound may give this the cold shoulder. One listen to huge tracks ‘It’s Automatic’, ‘Waterfall’ and ‘Everybody Needs Someone’ will leave you with a clear sense of The Enemy’s aspiration to pack out stadiums “We were talking earlier and chatting about different gigs, we said ‘imagine a stadium gig full of Enemy fans,’ that’s always motivation to work towards things like that” Andy confirmed out thoughts. 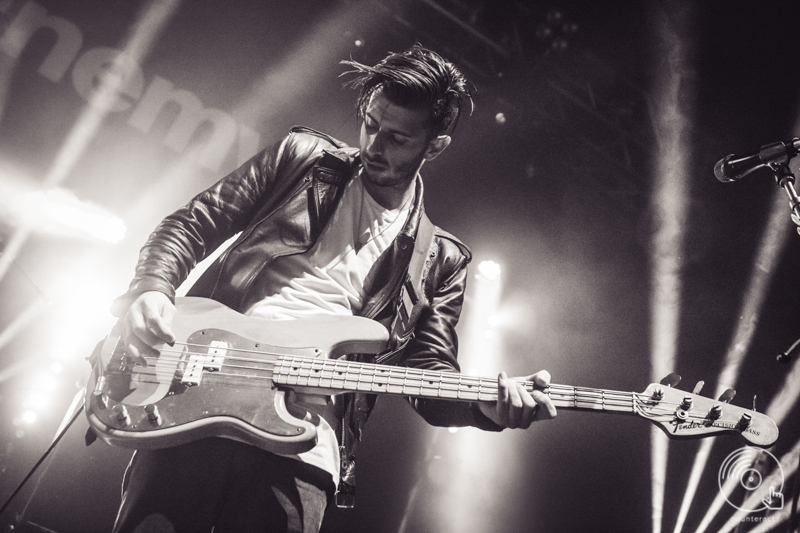 Initially tipped as rivals with The Twang due to their close proximity, the two bands were once part of a Midlands feature in NME Magazine: “With Jaws, Peace and Swim Deep coming through, when all that was going on I felt like something was happening again in the Birmingham music scene,” explained Liam. Andy agrees: “I really thought it was going to happen, it may still, they’re great bands, Jaws are great lads. Everything seems less geographical now, before it was always The Enemy are from Coventry, but it doesn’t matter anymore. I loved doing the tour with The Twang last year, we hadn’t really ever come together before because we were labelled as rivals. We’re not rivalling anyone, it was great to get to know them, they were good lads,” Liam continued to explain. And that’s exactly what The Enemy went on to do with yet another outstanding show and other reminder of why their legacy will live on beyond the four walls of Coventry.